Breakfast is the most important meal of the day! 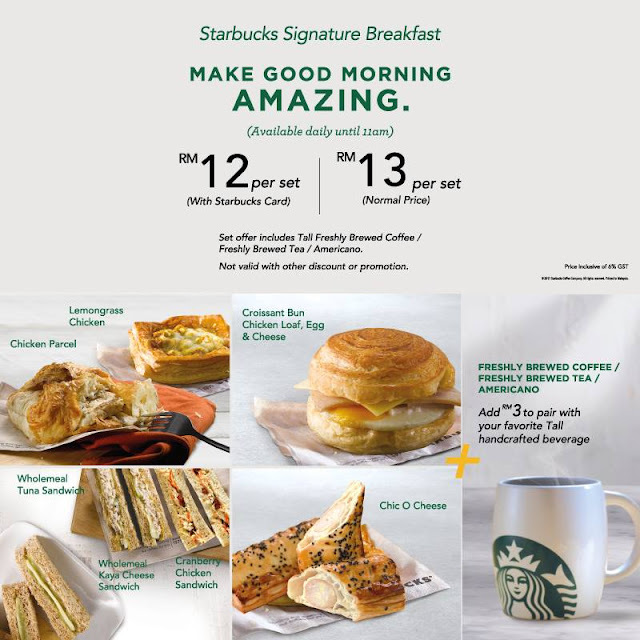 So, grab your choice of a delicious meal with your morning cuppa at a store near you. ;) Make good morning amazing. Available daily until 11AM. Not valid with other discount or promotion.